Danze Prince Chrome Single Hole 1 Handle Bathroom Sink Faucet w Touch Drain: This Danze Prince Collection Single Hole Sink Faucet is built to last. The highest quality standards are used to precision manufacturer a top of the line fixture. Important features of this 100% BRAND NEW Fixture: Complete Item! Everything necessary for installation is included. 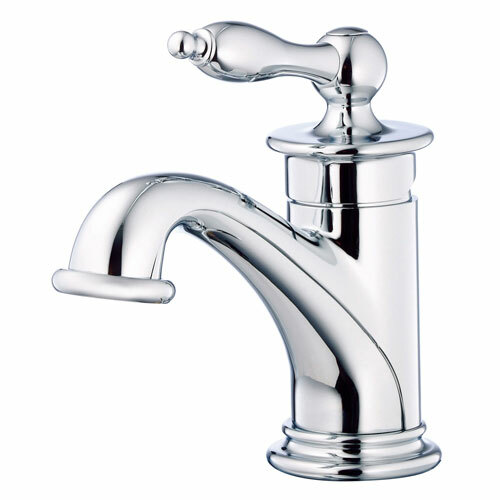 Chrome Single Handle Bathroom Sink Faucet - Single Handle Centerset Bathroom Faucet, Single hole mount, Prince collection, w/touch down drain, w/deck cover - The Prince collection can be described as elegantly elaborate with traditional detailing. 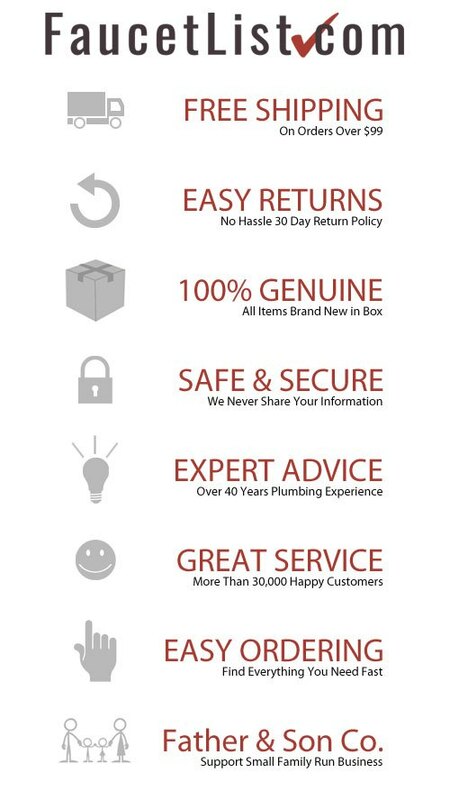 The Prince single handle lavatory faucet is a great choice for builders and homeowners seeking the perfect complement to a more traditional decor. Introduced in shiny, polished chrome and sharp-looking brushed nickel. - Single handle design for quick and easy water and temperature control - Ceramic Disc Valves provide drip-free shut off for life as well as smooth and easy handle operation. - Chrome premier finish designed to resist fading and tarnishing. - Metal touch down drain assembly included for easy installation - WaterSense certified faucet helps reduce water use - ADA certified handle for universal use - Single Handle Faucet - Matching Accessories Available - Easy to Install - Installation instructions included. This fixture is manufactured by Danze and is part of their Prince Collection. The Prince collection can be described as elegantly elaborate with traditional detailing. The Prince single handle lavatory faucet is a great choice for builders and homeowners seeking the perfect complement to a more traditional decor. Introduced in shiny, polished chrome and sharp-looking brushed nickel.